A great party might call for something that's just not in your budget to purchase. However, there are places where you can rent exactly what you need to make your party special, and LoveToKnow Party Rentals can help you find the right one. 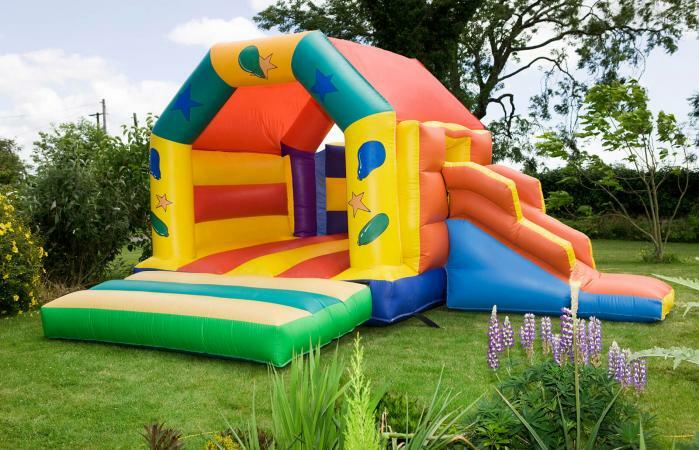 Inflatable bounce or jump houses, arcade games, video game buses, and even water slides can be rented for a party. Make sure you follow instructions for set up and get everyone attending to sign any waivers necessary. Party buses, limousines, and even sports cars can be rented for a festive occasion. Make sure you pay attention to the mileage included or you might get charged extra for long distances. Party boats are available for anniversaries, weddings, birthdays, and bachelor and bachelorette parties. Prices will vary based on location and what's included (food, drinks, clean up, and so on). From renting ponies to monkeys for parties, there are a number of animals you can rent and have brought to an event. Keep in mind the handler will come along to ensure the animal's safety. Most of the time, the handler will include a short educational presentation along with a meet-and-greet with the animal. Save and share memories with all your friends and family when you rent a photo booth for a party. Some booths allow you to print pictures immediately, just like the booths at the mall, while others allow you to view and download photos online. From a kids' birthday party to a graduation open house, you may need basics like chairs, tables and shade tents. Finding a reputable company to rent a special party item from online may not be easy. After all, rental companies are across the nation. Narrow down your search by looking in your surround area. Check out Outer Banks party boats or jumper rentals in Southern California. If you're not sure what kind of rentals are available in your area, it might help to look for general companies near you, like party rentals in upstate New York, that rent out everything from chairs to play equipment to lighting. Sometimes, hosting the party at your home just isn't going to work. Too many guests or a small space are uncomfortable for everyone. In that case, you'll want to look for a location rental. Consider renting out a banquet hall or a general party hall and figure out what works best for your event. Restaurants, children's play places, and even sporting arenas often have rental spaces available, too. Whether you're preparing for a wedding reception, a children's party, or family gathering, party rentals are the way to go to add that special touch to any occasion. Pick up what you need for the party and return it when you're done for a quick and easy way to add something extra to your get-together!